Sunday night is a time for students and faculty to periodically meet together in the quiet atmosphere of the chapel to reflect on the changing world and our responsibilities towards it. Faculty, parents, alumni, students, and other community members are invited to give "Chapel" talks. Music and poetry are often included. Dinner precedes the gathering; boarding students are required to attend and day students are strongly encouraged to attend. Named by the school's founder Mrs. Emmett, the school's original 'chapel' was destroyed in the 1970 fire. Rebuilt by students, the chapel retained its name and its original function of a space dedicated to students' gatherings around inspirational themes. Nowadays, the chapel building is used for music practice, small gatherings, and a place of quiet retreat from the bustle of campus. In honor of our founder, the gathering of students on a few Sunday evenings each year continues to be referred to as 'chapel'. The festival of Michaelmas arrives near the autumn equinox, just in time for the beauty and clarity of autumn days. This ancient festival celebrates the archangel Michael who is honored in Christian, Jewish and Muslim traditions. Michael is associated with courage, inner strength and initiative. 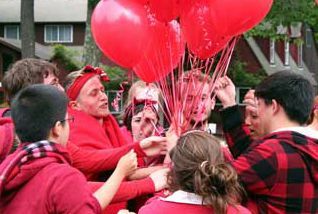 Our whole community celebrates by dressing in the color red which represents inner strength. We enjoy music, food, and games and then work together on a community service project in the broader world. Parents Weekend occurs in October. Conferences with teachers are scheduled in advance, so parents receive sufficient time to meet with all those who work with their children. Music and movement programs are offered on Friday and Saturday evenings. There are many opportunities to gather and socialize with other parents and students. The Halloween party takes place on the last Saturday evening in October. The Junior Class is responsible for planning, decorating and hosting this lively occasion. The Big Room and other areas of the school are transformed into appropriately spooky settings, with much ingenuity and imagination. 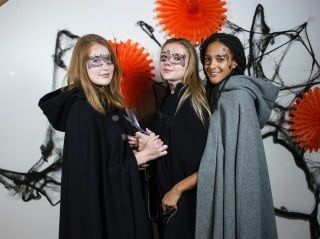 A skit, horror house, games, creative costumes, traditional Halloween refreshments, and a dance are the major ingredients of this fall celebration. This gathering highlights the ancient meaning of the Christmas tree and the symbols which are later placed on the tree by the Seniors. Carols are sung in the Big Room as the tree is decorated. Hot cocoa and cookies are served to all. The Nativity is the School’s chapel service held on the third Sunday of the Christmas Block. It is a performance, designed by Mrs. Emmet in the very early days of the School, with many students participating. Day students are invited to dinner the Saturday night of Nativity in order to more easily attend the Snow Goose Party — an all-school event — which follows. This Festival has been held the last night before winter vacation since 1942. An all-school holiday dinner is held followed by the Festival in the Big Room. 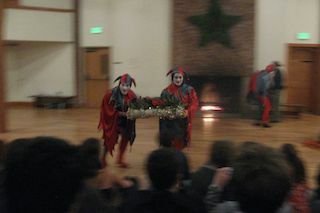 There are many traditional holiday activities as well as some that originated at High Mowing’s first festival, including brightly colored jesters, the Yule log, wassailing, and a reading of the Christmas story from the Bible in as many languages as possible. 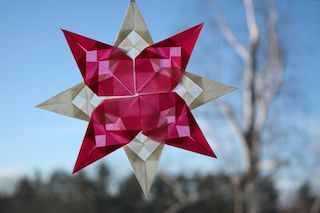 Traditional aspects of the evening include a presentation of the Christmas Book — a collection of words and pictures from each student to the School — skits, music, cookies, and an interpretation of the carol Partridge in a Pear Tree. Valentine’s Day, February 14th, is a day dedicated to love! The sophomores plan events throughout the day to remind us of our theme. 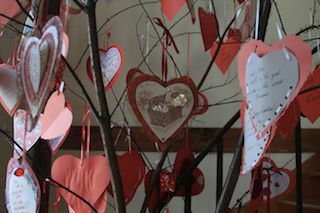 There are skits, valentines in many forms, a wonderful meal, and a dance. The traditional May Day at High Mowing takes place in the spring. Parents, friends, alumni, and the public are invited to the campus to celebrate the spring season at its height and to enjoy the many activities offered. 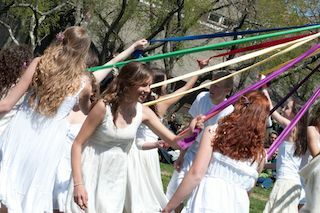 The students are given a number of May Day responsibilities including the preparation and manning of game booths, decorating, sign making, and entertainment. 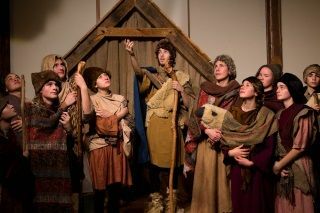 The Spring Play, involving a very large student cast and many helping hands behind the scene, is also performed. All students are expected to be present for the day. The Prom is a much-anticipated event in late Spring. 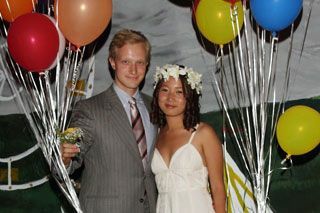 Students enjoy this special occasion in which elegance, imagination, surprise, and fun fill the evening. Dress may be a vintage gown from the costume room or the local thrift shop, newly purchased, or created by one’s own hand. Everyone has an “arranged” date, serving as a dinner and dance partner. The junior class is responsible for the dance, including theme selection, decorating the Big Room and Musical entertainment. Each year their efforts ensure a wonderful evening for all. The capping ceremony signals the real beginning of graduation celebrations. 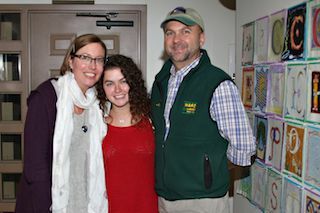 A faculty member mirrors each senior, in clothing, gesture and/or speech. Following the well-applauded moment of recognition, the senior receives an Oxford-style cap to be worn until the completion of graduation exercises. The inner band of the cap is embroidered with his or her newly-added name. Needless to say, the interiors of the caps are brightly decorated with the names of alumni spanning many, many years. Graduation takes place behind the Main Building in an area surrounded by gardens. The seniors walk down the steps from the Big Room; the Senior girls carry bouquets made by the junior girls. Following the ceremony, a light luncheon is served to all guests.